A good fish finder makes your fishing trip all the more enjoyable. The problem is that finding the perfect finder for your needs is not easy. It is tougher when you are working with a $200 and don't want to compromise on performance or features. The good news is that it doesn't have to be difficult because we've done the legwork for you. This post reviews functional and feature-packed fish finders under $200. 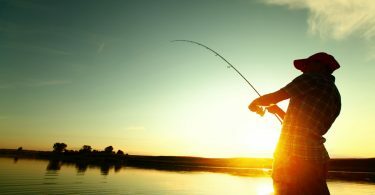 We also tell what factors to consider when shopping for high-quality fish finders with a low budget.A fish finder is a excellent addition to your fishing gear. 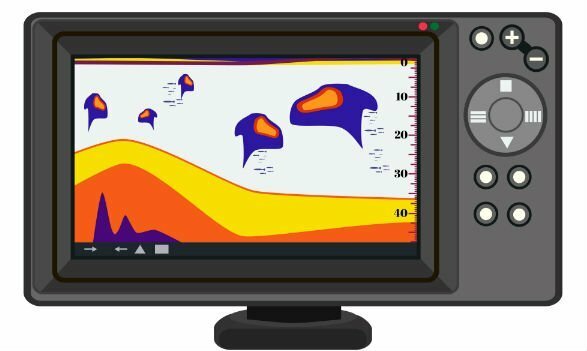 If you are shopping for a budget fish finder with a large screen, the Humminbird 410190 Helix 5 Sonar G2 is an excellent choice. It is a powerful unit that boasts a depth capability of 1500 feet and a dual beam functionality. It doesn’t have down imaging, GPS or side view functions. The good news is that it offers everything needed to scan the bottom of the lake and identify fish. It has user-friendly functions that give it a competitive edge in this price range. The unit offers Humminbird Switchfire Sonar function that gives you added control when scanning the waters of your favorite fishing hole. It has split screen capability and at 4000 watts, this powerful fish finder can separate targets to 2.5 inches. You can mount it on gimbals, a pedestal or in-dash, and the construction is very sturdy. The Garmin Striker 4 is the most basic unit in the Striker Series and one of the most affordable units with CHIRP you’ll find. It has GPS to help you know how fast you are going and keep track of your favorite fishing spots. The easy-to-read map makes it easy to locate brush piles, docks, and stumps. It uses a CHIRP sonar that sends out low to high frequencies continuously so you don’t miss anything. The Striker 4 comes with the 010-10249-20 transducer that uses two conical beams of 15-degrees and 45 degrees. It offers a maximum scanning depth of 1600 feet in freshwater and 750 feet in saltwater. It has a built-in flasher that displays bottom conditions and the widescreen has a resolution of 480x320 pixels. The Garmin Echomap 43cv uses a 5 Hz internal GPS module that refreshes your position every five seconds. Despite being one of the smallest units by Garmin, it has enough internal memory to stock up to 50 tracks, 100 routes, 5000 waypoints and 50,000 track points. It comes pre-loaded with LakeVÜ HD charts that cover more than 17000 water bodies in the US. The CV20-TM transducer is temperature capable and transmits at 50/77/200 kHz frequencies. Also included is a built-in 500w Chirp traditional sonar and Chirp ClearVÜ sonar, which send a continuous wave of frequencies so you don’t miss anything. As for the control features, this unit has a 4.3” display with 480x272 resolution. It has a IPX7 waterproof rating and can withstand water ingression even when submerged to a depth of 1m. The Garmin Striker Plus 4cv has a 3.5-inch screen display and utilizes a dual sonar to make finding fish easier. It boasts ClearVÜ technology which delivers 455/800 kHz for added clarity. The Chirp technology uses a 77/200 kHz transducer to send out a continuous sweep of frequencies and relay clear images of what’s passing beneath the boat to the screen. Also included is a high sensitivity GPS, which allows you to track your favorite fishing spots with ease. The built-in flasher makes this unit ideal for stationary fishing and allows you to view data in a classic format. This unit also comes with a tilt-and-swivel mount for mounting on the dash of the boat. The ISHOWStore Wireless Dot-Matrix Smart Sonar Fish Finder offers an incredible feature combination at an affordable price. It comes with an adjustable dot matrix LCD screen capable of detecting and zooming at specific fish depths. With a 90-degree beam angle, it doesn’t come as a surprise that this unit can scan to depths of 120 feet. It is designed for amateur and professional anglers with advanced features like adjustable sonar sensitivity setting, depth alarm, water temperature measurement and audible fish. You can use the ISHOWStore Wireless Dot-Matrix Smart Sonar in freshwater or saltwater because the sonar detects fish in any particular area. In addition, the sonar can be used with bait boats, rod & lines, and roach poles. The unit allows you to fish at places other fish finders cannot reach and supports two languages. This is an amazing fish finder specially designed for all anglers to detect schools of fish in any particular area. Highlights include a 2.8” TFT screen with a 240x160 resolution. It has a depth capability of 2.0-240 feet and allows for multi-level depth range. The bottom contour comes handy when creating custom maps while the temperature indicator lets you know the temperature of the water. 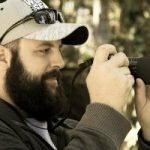 There is an auto zoom bottom tracking feature that allows you track underwater creatures as well as an audible fish and depth alarm that works within a depth range of 3-99 feet. This fishfinder uses a dual beam that transmits at 83/200 kHz frequencies. It offers user-selectable sonar chart modes to suit different conditions and 100 level sensitivity settings. The unit supports multiple languages and is powered by four AAA batteries. Unlike pricier models, this one doesn't offer navigation features. The Deeper Smart Sonar Pro is one of the new breeds of lightweight and portable fish finders. You can use it from a small boat for ice fishing or cast it from the shore. It boasts an all-in-one design that includes the transducer function. It doesn't require special mounting materials and the added feature of being able to view the feedback via the app download for smartphones makes it all the more worthwhile. It operates on an independent WiFi connection and as such, you can use the device anywhere as long as it is charged. This portable fish finder offers a connection range of 330 feet and can mark anything up to 0.5” in water to a depth of 260 feet. Its ABS construction offers impact-resistant performance. It operates on dual-beam frequencies, giving you a detailed view in a 15-degree cone. You can use the PRO as an ice fishing flasher to examine the water column beneath your hole. The Lixada 20M 1000TVL Fish Finder is a minimum size underwater fishing camera that boasts video recording capabilities. You will need to insert a TF card to store any images or video clips for future playback. The unit uses a 4.3” LCD screen to display high definition images and a sun visor for clear viewing in bright light conditions. It has an impeccable waterproof rating of IP68 and the 140-degree wide angle lens do a great job of capturing a wide range of scenes in deep water. The camera incorporates eight pieces of LEDs as a light source and comes with a 20 meter that works well in deep waters regardless of the conditions. It is powered by 4000mAh rechargeable battery that runs for four hours before running out of charge. You get a special bracket to fix the monitor on a fishing rod. Helpful device for underwater exploration, ice/lake/ocean fishing etc. The Eyoyo Professional Fish Finder is an incredible underwater camera system that goes for less than $200. While not your average sonar system, this unit offers features that would prove useful to any angler. It gives you a real-time view of what's happening underwater making it ideal for ice and stationary fishing. 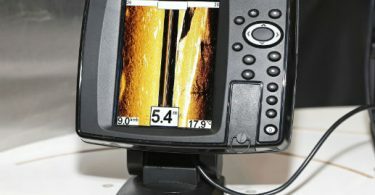 You can use it alongside a sonar fish finder to map bottom structures and find out how different baits affect the fish. The unit comes in a sturdy aluminum carrying case that is lightweight and runs on a 12v DC rechargeable lithium battery. The fish-shaped camera can work in deep waters up to 150 feet and sends data to a 7” color display. Any still photos and video recordings are stored on a 4GB SD card for future playback. The Raymarine Dragonfly 4DV is an excellent choice for those in search of minimal features at an affordable price. It uses a single channel Chirp DownVision transducer that delivers sonar readings up to a depth of 600 feet. The 4.3” HD LED-backlit screen displays crisp imagery and is easy to read in low-light or bright-light conditions. It has an easy-to-read interface that delivers important information on water temperature, depth etc. to help locate fish targets. There are three main types of fish finders i.e. standalone, networked systems and combination fish finders. Standalones are ideal for those who are going to unknown territories and want to know what is beneath the water surface because they are concerned about their boat. You can get a standalone fish finder with a display screen that clearly shows the bottom. Because it doesn’t offer a lot of features, a standalone is an excellent choice for anyone who wants to save money. Networked systems incorporate a wide range of data tools including victor GPS charts, videos, and satellite radio. They also have Wi-fi and Bluetooth and can be connected to mobile devices. Combination fishfinders offer multiple options like depth, fish size, speed, and temperature. They are specifically designed for finding fish and may include split screen options and/or quality navigation GPS. Main options at your disposal are single, dual and multiple frequencies. Most transducers come in 50, 83, 192 and 200 kHz frequencies. Your choice of transducer frequency will be determined by the depth of water you are going to fish in. For shallower waters, a high frequency like 192 or 200 kHz would be best. Lower frequencies are best for commercial use in deeper waters because they send more sonar waves, thus showing fishes and underwater objects more clearly on display. The resolution of the screen can make or break your chances of getting the best catch. The higher the resolution, the detailed the images will be. Look for a screen with at least 240 x 160 pixels, and expect the images to be blocky at this resolution. Invest in a high-resolution screen if you want clearer images. Keep in mind that the screen size also affects the clarity of images and as such, you should go for the largest screen you can get within your budget range. Like televisions, the quoted screen sizes refer to the diagonal distance across the display screen. These are responsible for emitting and receiving sonar waves. Transducers send sonar signals into the water, which bounce off objects underwater. They are then picked up by the transducer and the data is picked up by the main unit, which transforms the signal to a picture you can see and comprehend. Most fish finders come with a transom mount transducer that is easy to mount and require minimal installation. Another important part of choosing a transducer is the cone angle, which refers to the width of beams sent from the bottom of the boat into the water. Think of it as an upside-down ice cream cone that is thin at the top and gets wider as it goes down. The wider the cone angle, the larger the area the transducer covers. Cone angles usually range from 9-degrees to more than 60-degrees, with most ranging from 16-degrees to 20-degrees. Some transducers have more than one beam transmitting from the same point i.e. dual beam, triple beam, side beam etc. and as such, cover wider areas. While transducers are made from different materials, not all materials can be used in every type of kayak or boat. Plastic thru-hull housing cannot be used on wood boats. This is because wood swells up in water and this can damage plastic transducers. In addition, bronze thru-hull housings shouldn't be used on aluminum boats as the contact between the two metals combined with salty liquid can accelerate rusting. Fishfinders with color displays show detailed images of underwater objects, structures, and creatures. Another advantage of color displays is that they are more visible in bright lights as compared to black and white screens. If your budget is really tight, get a black and white fish finder with the highest resolution you can afford.